FUNK, Casimir. 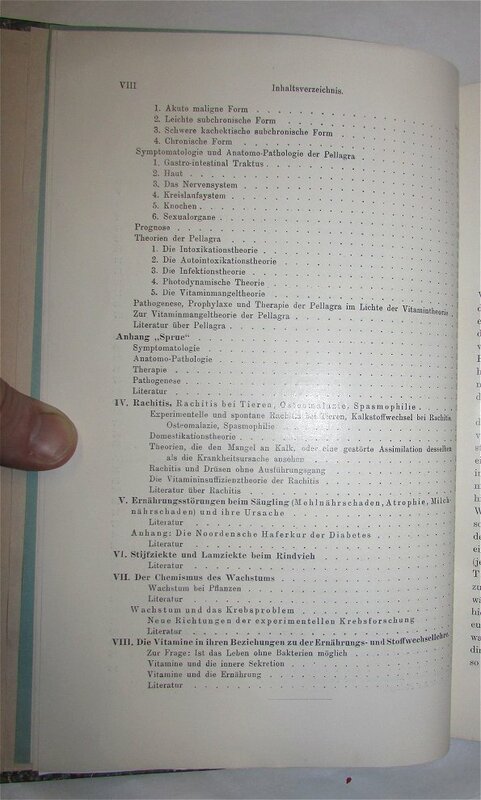 Die Vitamine, ihre Bedeutung fur die Physiologie und Pathologie mit besonderer Berucksichtigung der Avitaminosen: (Beriberi, Skorbut, Pellagra, Rachitis). Anhang: Die Wachstumsubstanz und das Kresbsproblem. 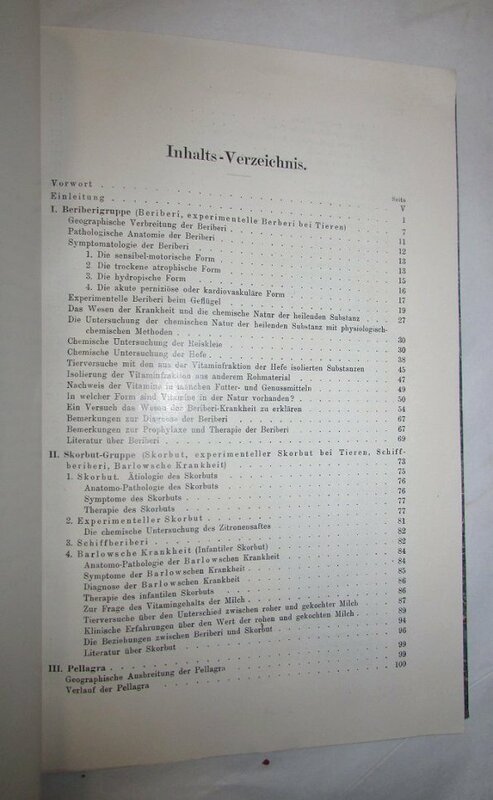 Wiesbaden: Verlag von J.F. Bergmann, 1914. First edition. Tall 8vo., recently rebound with a blue calf spine, marble boards, raised bands, gilt, leather spine label, viii, 193pp. (with the original wrappers bound in). With two chromolithograph plates at the rear. Lacking the 6pp. of adverts. 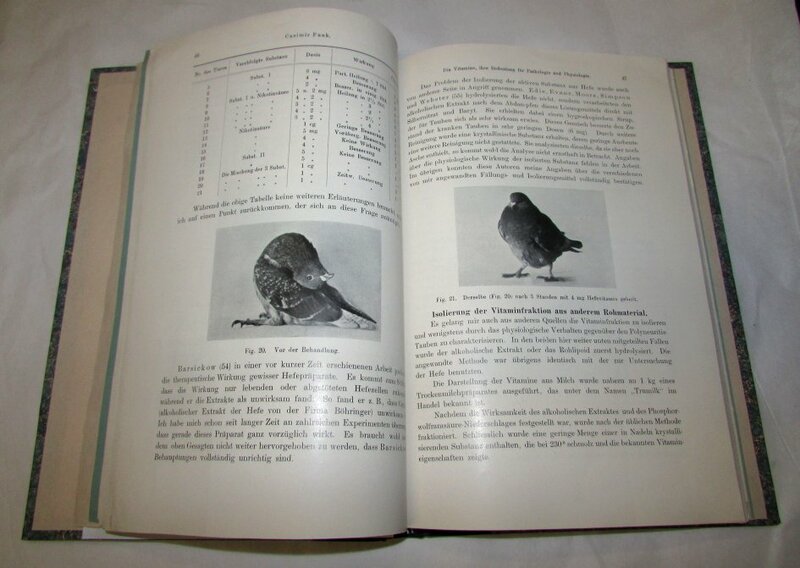 Library discard stamp on the verso of the titlepage, (no other library markings), in fact a fine copy of this rare work. 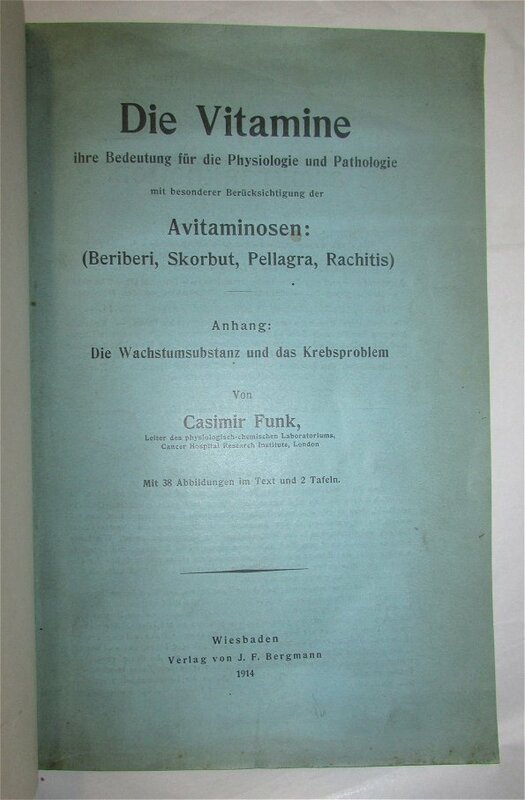 "A pioneer work in the study of vitamins." (G & M). "Funk sought the exact causes of diseases known to arise from poor diets. He managed to identify thiamine as the element in rice that prevents beri-beri (a disease caused by a diet of polished rice, which has had several elements including thiamine, removed in the refining process). In 1912, Funk proposed the term "vitamine" (for vital amine) for such essential organic compounds." (Norman Library 1088). Norman 850; Grolier Medicine 94; Garrison & Morton 1051.